Moroccan-born rapper French Montana kicked off a fierce debate about race, ethnicity, and Blackness on Twitter after dissing a woman who questioned his relevancy. Like many folks on Twitter, user @artdecoxxx had an opinion and decided to express it. This time, however, it didn’t get lost in the ether of tweets flying through cyberspace, it hit its direct target head on. The fact that French Montana thinks anyone cares about him.. ? While @artdecoxxx did not tag the rapper in her tweet, he still found it and decided to meet her low-level grade of shade with a bazooka, hurling a slew of insults that upset many folks on the social media platform. After French sent his tweet, many criticized the rapper for not only searching his name and picking on a woman, but also calling her hair “nappy.” Many claimed he shouldn’t have lobbed that insult at the young woman because he isn’t Black, while others argued that because of his African ancestry he is Black. It’s messy, and folks attempted to hash it out. If you’re saying that French Montana is black because he was born in Africa you are fantastically stupid. French Montana is from Africa, you can be black and have fair skin..
French Montana is like Drake they are only black when it’s convenient. Like when it’s a Kardashian in the room. GED twitter thinks just because French Montana is from Africa it means he’s black, I bet y’all think Africa is a country too huh? So…French Montana searched his name and is now crying and making anti-black misogynistic statements?? ? Others slammed the rapper for his insults, calling them disrespectful and unnecessary. While the discussion about race, ethnicity and nationality can be extremely complicated, it’s important to note that French Montana hasn’t identified as Black, though he said he’s the father of a Black son and used to be married to a Black woman. What do you make of this dustup? 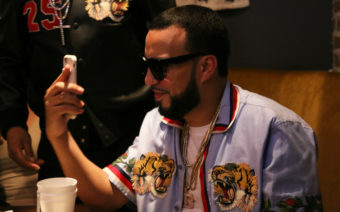 Was French Montana wrong? The post Rapper French Montana Catches Heat After Calling a Black Woman ‘Dusty’ With ‘Nappy’ Hair appeared first on EBONY.